Have you heard? Ellie Marney has a brand new series on its way, and she revealed the cover for the first book, All the Little Bones, just the other day. Isn't it a beauty? I absolutely love it. 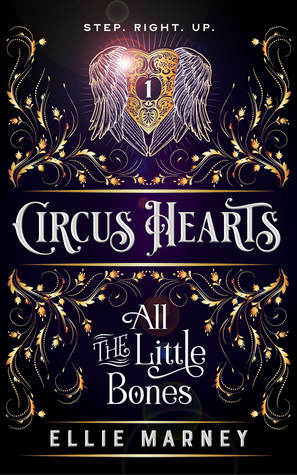 This is the first book in Marney's new Circus Hearts series, which is described as dark YA romantic mystery. Otherwise known as music to my ears as it's coming from the woman who gave us Every Breath and No Limits. This first book follows a teenage trapeze artist and an apprentice strongman on the run from the law, and I can hardly contain my excitement. All the Little Bones is due out September 1st and will go live for pre-order August 21st.